The Nintendo Power service was a way to download games onto a flash cartridge. It was available at Lawson convenience stores. Editor's Note: The text on this page was made in the early 2000s, and some of the information may be inaccurate. At some point, I will make a more complete article. 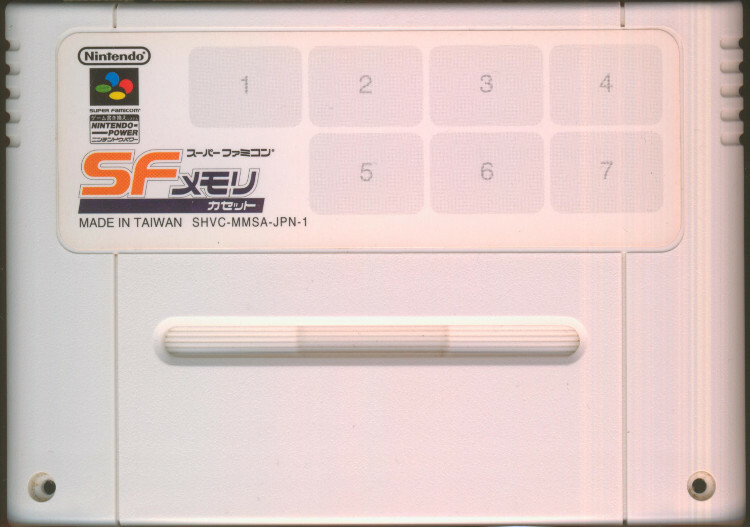 In the late 90s, Nintendo created an innovative way to buy Super Famicom games. They started a service called Nintendo Power, which ran in popular convenience stores in Japan. For a certain amount of money, you could buy a blank cartridge, and you could put several games available to the service on the cart. There were many popular games on the service, and even some games that were exclusive to it. This service was continued until 2000. Well, it's not really rare in Japan but it is rare in the States. 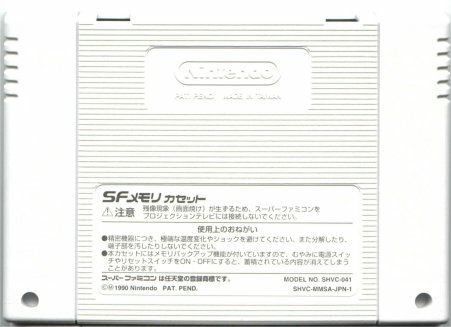 It's a Super Famicom Nintendo Power cart, a programmable (re-writeable) flash cart made by Nintendo. 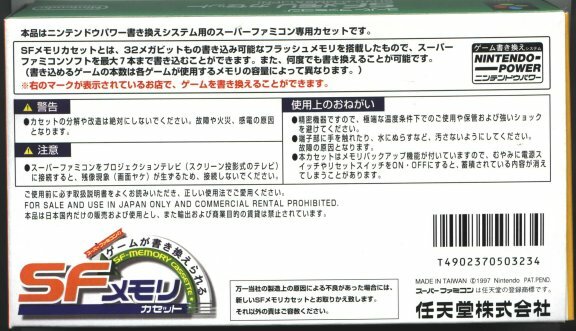 In Japan you used to be able to go into a Lawson store with a programming station and download games onto it for a fee. Not all games were available on the NP cart but there was a wide selection. 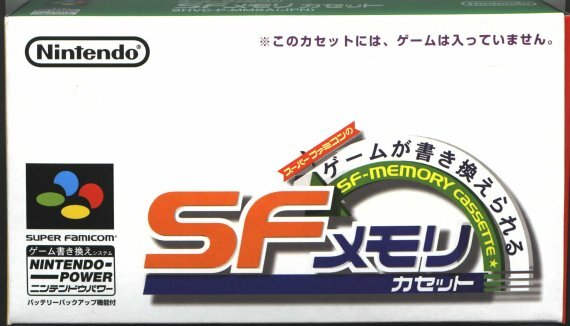 Almost any non-special chip game could have been put on it if Nintendo wanted to make it available on NP. Sadly, the Nintendo Power service was shut down last year so you can no longer get the carts programmed but the carts themselves live on. I heard that Nintendo offerred to buy back the carts after they shut down the service (not for full price of course) but I can't confirm that. These are awesome carts they are almost everything I want in a programmable cart. They were able to be programmed in any configuration, HiRom, LoRom, mixed HiRom and LoRom, you could load multiple games on the cart and select which one you wanted to play from a menu. The ROM and SRAM sharing was transparent to the game being played. The only drawback to it was that it was not user programmable, you had to take it to the store, otherwise this is the perfect programmable cart, the one everybody dreams of.